Once upon a time there was Acanthostega and Ichthyostega and......well, not much else for millions of years. "Where are the missing links," people wondered? There are folks today who still pretend that the fossil record reveals no links, no transitional fossils that demonstrate when and how evolution occurred. There was a time when this was true for Birds and also for Whales. But before birds and whales could evolve ( we have a fine series of fossils for them) tetrapods had to come into being. Their fossils are now coming to roost in museums too. This is the Tetrapod's story. 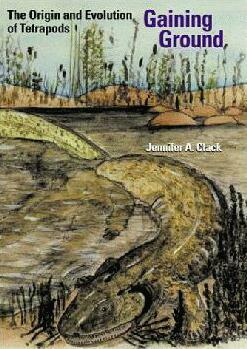 Jennifer A. Clack is a paleontologist at the University Museum of Zoology, Cambridge, UK. She has devoted a good portion of a career working out the evolution of early tetrapods, the transitionals between fish and amphibians that later lead to the evolution of reptiles, birds and mammals. Her recent description of Pederpes finneyae involved a fossil originally misidentified in 1971 (see photos below). For many years paleontologists have been puzzled by the dearth of tetrapod fossils during the 20 million year period that became known as Romer's Gap (see the graphic at the bottom of this page). However, during the last ten years or so this gap in the fossil record has been closed by new discoveries. Ms. Clack's recent book Gaining Ground: The Origin and Evolution of Tetrapods, presents a thorough analysis of these fossils. 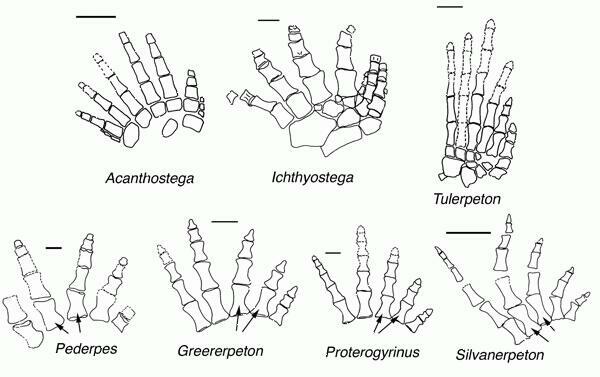 According to Ms. Clack tetrapod evolution consisted of three major events: the origin of limbs with digits, the origin of walking, and origin of terrestriality. But limbs were not the only organs involved. The ear, braincase and vertebral column all underwent changes. Her book documents these changes with graphics and cladograms. It is somewhat surprising that, in zoology and paleontology, new discoveries are often made from among existing specimens stored in the drawers of museums. Such was the case for the fossil shown below. It was misidentified in 1971 and remained so until it was brought to Jennifer Clack in 1996. The fossil had been only partially exposed from its matrix. Four years of additional preparation resulted in the photo and technical drawing below. You thought museum work was simple? Pederpes finneyae is an early tetrapod described by Ms. Clack in Nature 418, 72-77 (4 July 2002). It dates to the Early Carboniferous (348-344 Myr) from near Dumbarton, Scotland. The map of the holotype (drawing below) shows the preserved elements. Elements appearing on the reverse side are shown in grey. Where Does the New Fossil Fit? It is not always absolutely clear where a fossil representing a new species fits in the tree of life. 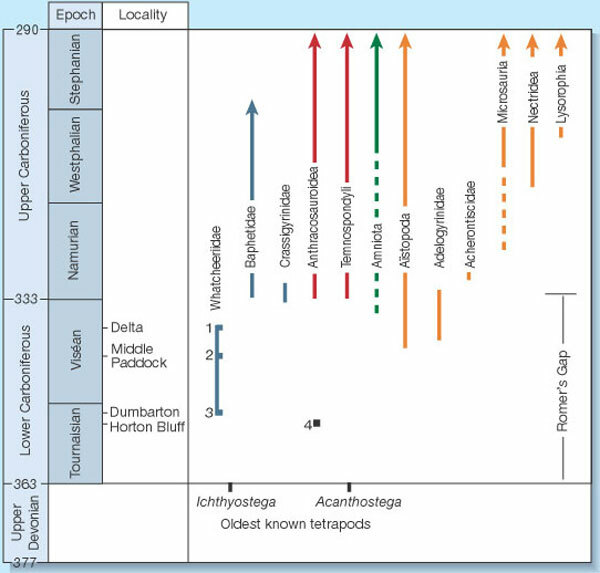 A 1999 analysis compared 21 taxa and 111 characters (78 cranial, 33 postcranial) resulting in the diagrams below. A phylogenetic analysis in 2002 compared 25 taxa and 141 characters. When only a few specimens are available greater certainty may have to wait until more collecting is done. Paleontological mix-up. The skeleton of an amphibian described by Clack has features that have previously been used to distinguish three major groups of early tetrapod. b, c, d, This mosaic of characters leads to at least three different phylogenetic interpretations. From Vertebrate Paleontology: Evolutionary Cut and Paste by Neil Shubin in Nature 394, 12-13 (02 Jul 1998). The graphic below is not the last word in tetrapod evolution. Nothing is science in ever the last word on any subject. Generations of scientists build on the work of those who came before, filling in gaps in knowledge, extending the scope of what can be known. Due to the work of Jennifer Clack and her colleagues we can be fairly certain tetrapody evolved in the sea. Animals that came onto land in the Carboniferous were well-equipped for moving about and exploring terrestrial environments. This time scale shows the extent of Romer's Gap and the fossil record of the major lineages of tetrapods evident during the Carboniferous. Numbers 1–3 designate sites from which whatcheeriids (which include Pederpes) have been found: Delta Iowa, North America; Middle Paddock, Australia; and Dumbarton, Scotland. The oldest site from which any Carboniferous tetrapods have been discovered is (4) Horton Bluff, Nova Scotia. From Paleontology: Early Land Vertebrates by Robert Carroll (in News and Views), Nature 418, 35-36 (4 July, 2002). The evolutionary sequence reveals the transition of many characters over time. Sometimes a group of characters may change in unison, at other times a single character may undergo change. A good series of specimens permit scientists to distinguish between ancestral and derived characters, and to place higher confidence in the assignment of positions to species and genera in the tree of life. Transitional Forms: Fish to Amphibians : by Glenn Morton. On this page, Morton presents considerable detail about numerous intermediates, but the most recent discoveries might not be included. Transitional Vertebrate Fossils FAQ : at www.talkorigins.org. The transition from primitive bony fish to amphibians and beyond. A clear presentation within a much longer FAQ on transitional forms in evolution. Fish with Fingers : 3 min. 48 sec. video, requires Quicktime or RealPlayer. In this video segment from the PBS Evolution series, paleontologist Jenny Clack explains that vertebrates evolved fingers before they invaded land. The Fish That Was Not a Fish : In 1996 a graduate student brought the rock-covered fossil into the lab of Jenny Clack. She knew within minutes that what she had before her was not a fish but a key missing link, one that is only now giving up its secrets. Coming Onto the Land : by Carl Zimmer in Discover Magazine, June 1995. The evolution of fish into walking land animals was one of the greatest chapters in the history of life. Now a remarkable fossil creature shows that all the real excitement happened underwater. The first vertebrate that walked onto land didn’t crawl on fish fins; it had evolved well-turned legs millions of years beforehand. After a Lost Balloon : Chapter 1 from At The Water's Edge : Fish with fingers, whales with legs, and how life came ashore but then went back to sea. The story of vertebrate evolution and the closing of Romer's Gap. See Amazon.com for book details. Beaumont, E. H. : Cranial Morphology of the Loxommatidae (Amphibia: Labyrinthodontia). Phil. Trans. R. Soc. B 280, 29-101 (1977). Beaumont, E. H. & Smithson, T. R. : The Cranial Morphology and Relationships of the Aberrant Carboniferous Amphibian Spathicephalus mirus Watson. Zool. J. Linn. Soc. 122, 187-209 (1998). Clack, J. 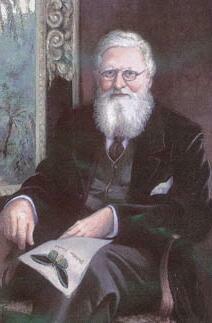 A. : The Stapes of the Coal Measures Embolomere Pholiderpeton scutigerum Huxley and Otic Evolution in Early Tetrapods. Zool. J. Linn. Soc. 79, 121-148 (1983). Clack, J. A. : Earliest Known Tetrapod Braincase and the Evolution of the Stapes and Fenestra Ovalis. Nature 369, 392-394 (1994). Clack, J. A. : The Evolution of Tetrapod Ears and the Fossil Record. Brain Behav. Evol. 50, 198-212 (1997). Clack, J. A. : The Neurocranium of Acanthostega gunnari and the Evolution of the Otic Region in Tetrapods. Zool. J. Linn. Soc. 122, 61-97 (1998). Clack, J. A. : A New Lower Carboniferous Tetrapod with a Mélange of Crown Group Characters. Nature 394, 66-69 (1998). Coates, M. I. : The Devonian Tetrapod Acanthostega gunnari Jarvik: Postcranial Skeleton, Basal Tetrapod Relationships and Patterns of Skeletal Evolution. Trans. R. Soc. Edinb. Earth Sci. 87, 363-421 (1996). Coates, M. I. & Clack, J. 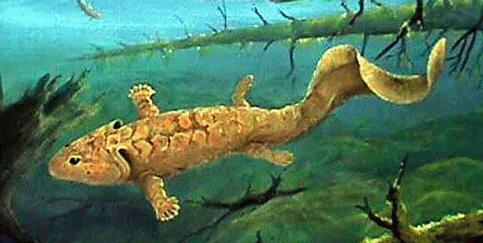 A. : Polydactyly in the Earliest Known Tetrapod Limbs. Nature 347, 66-69 (1990). Godfrey, S. J. : The Postcranial Skeletal Anatomy of the Carboniferous Tetrapod Greererepton burkemorani Romer, 1969. Phil. Trans. R. Soc. Lond. B 323, 75-133 (1989). Holmes, R. : The Carboniferous Amphibian Proterogyrinus scheeli Romer, and the Early Evolution of Tetrapods. Phil. Trans. R. Soc. Lond. B 306, 431-524 (1984). Holmes, R. B., Carroll, R. L. & Reisz, R. R. : The First Articulated Skeleton of Dendrerpeton acadianum (Temnospondyli, Dendrerpetontidae) from Joggins (Westphalian B) Nova Scotia, and the Interrelationships of Early Temnospondyls. J. Vert. Paleontol. 18, 64-79 (1998). Laurin, M. & Reisz, R. : in Amniote Origins -- Completing the Transition to Land (eds Sumida, S. & Martin, K. L.) 9-59 (Academic, London, 1997). Lebedev, O. A. : Fins Made for Walking. Nature 390, 21-22 (06 Nov 1997). Lebedev, O. A. & Coates, M. I. : The Postcranial Skeleton of the Devonian Tetrapod Tulerpeton curtum Lebedev. Zool. J. Linn. Soc. 114, 307-348 (1995). Lombard, R. E. & Bolt, J. R. : A New Primitive Tetrapod, Whatcheeria deltae, from the Lower Carboniferous of Iowa. Palaeontology 38, 471-494 (1995). Milner, A. C. & Lindsay, W. : Postcranial Remains of Baphetes and Their Bearing on the Relationships of the Baphetidae (Loxommatidae). Zool. J. Linn. Soc. 122, 211-235 (1998). Panchen, A. L. : On the Amphibian Crassigyrinus scoticus Watson from the Carboniferous of Scotland. Phil. Trans. R. Soc. Lond. B 309, 461-568 (1985). Paton, R. L., Smithson, T. R. & Clack, J. A. : An Amniote-like Skeleton from the Early Carboniferous of Scotland. Nature 398, 508-513 (1999). See Science News Online Report. Smithson, T. R. : The Cranial Morphology of Greererpeton burkemorani Romer (Amphibia: Temnospondyli). Zool. J. Linn. Soc. 76, 29-90 (1982). Trueb, L. & Cloutier, R. : in Origins of the Higher Groups of Tetrapods (eds Schultze, H. & Trueb, L.) 223-314 (Cornell Univ. Press, Ithaca, New York, 1991). Wood, S. P., Panchen, A. L. & Smithson, R. R. : Aterrestrial Fauna from the Scottish Lower Carboniferous. Nature 314, 355-356 (1985). Several papers appear in The Phylogeny and Classification of the Tetrapods (ed. Benton, M. J.) 59-102 (Clarendon, Oxford, 1988). Several papers bearing upon tetrapods origins deal with fossils from the Viséan of East Kirkton, West Lothian, Scotland and appear in Trans. R. Soc. Edinb. Earth Sci. 84 (1993).